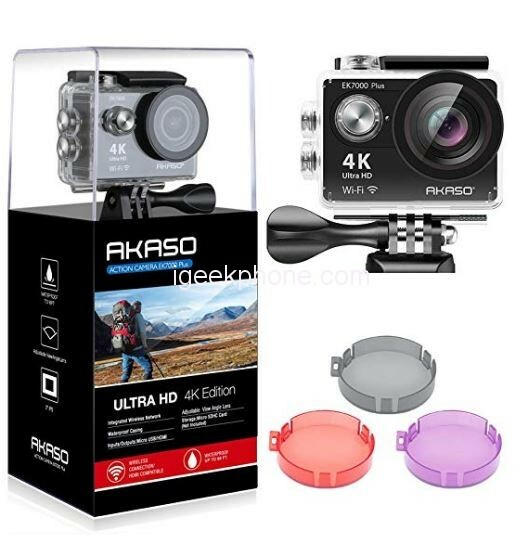 The AKASO EK7000 Plus 4K 16MP WiFi Action Camera is an amazing camera which features multiple functions including effect, loop recording, upside down, burst photo, dive mode, time lapse, continuous lapse, etc, get more creative and fun. If you turn on the Dive Mode, it can filter the red light under water. You don’t need to purchase a red filter any more for this underwater camera. This underwater camera can filter the red light underwater if you turn on Dive Mode. This action camera also has built-in effect: black & white, sepia, negative, warm, cold, red, green and blue. 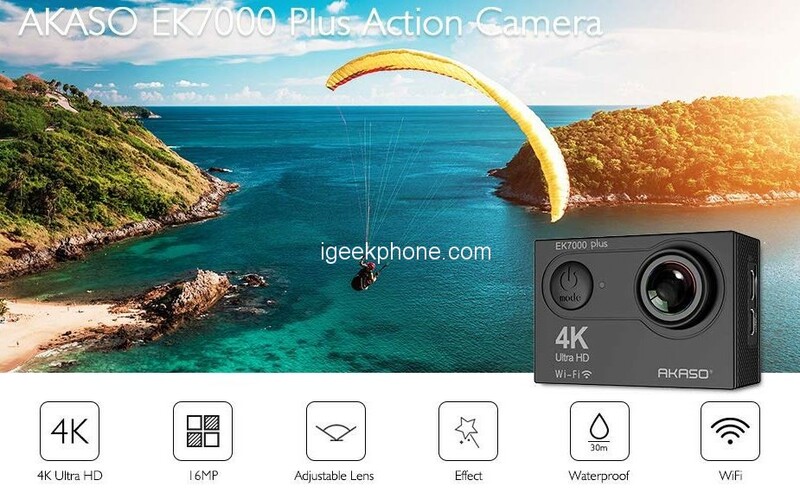 AKASO EK7000 Plus action camera can capture high quality 16MP images and record in high definition videos at up to 4K(4K/25fps) and at high frame rate at up to 120fps (720p/120fps), even if with the light weight and compact design. 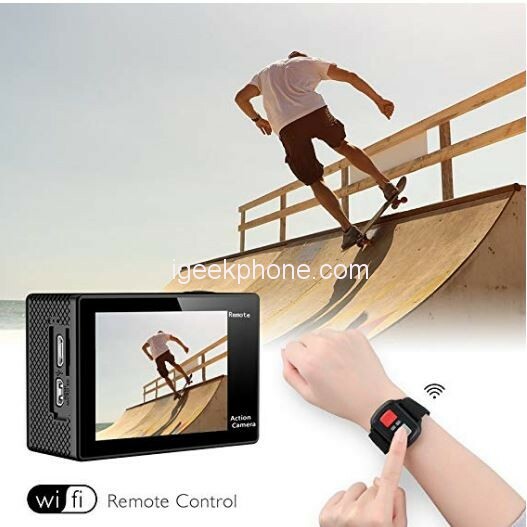 This action camera is compatible with iOS and Android device. Just download AKASO DV app on your phone or tablet and connect with this sports camera. Especially suitable for beginners who like an adventure. The waterproof case is designed for the underwater world. This underwater camera is waterproof up to 30 meters., you can capture your favorite underwater activities: surfing, diving, and snorkeling. This underwater camera comes with 2 rechargeable 1050mAh batteries, 3 filters, remote control wristband and lots of accessories kits. The kits fit most cameras even Gopro. 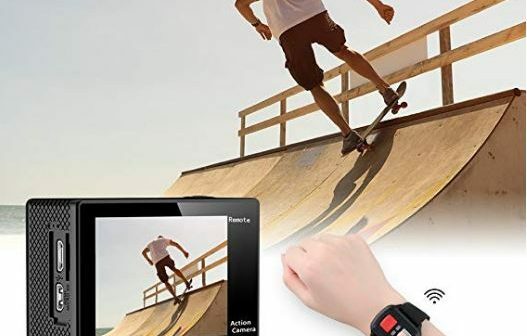 You can adjust the field of view (FOV) of this action camera according to your needs between Super Wide, Wide, Normal and Narrow since many scenes do not require an ultra wide angle lens. 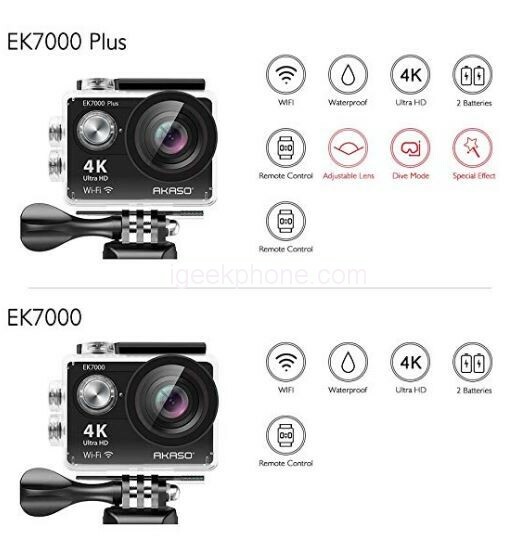 The AKASO EK7000 Plus 4K 16MP WiFi Action Camera is currently available on Amazon for $48.99 using the coupon code: EK7000PLUS and it also has a free shipping option.